Dance Classes Fort Collins - What Is Modern Dance? 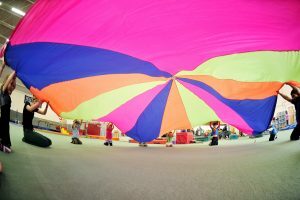 If you’re trying to decide what dance class to sign your child up for, but you don’t know much about dance yourself, it can be difficult to decide which class they will actually enjoy. 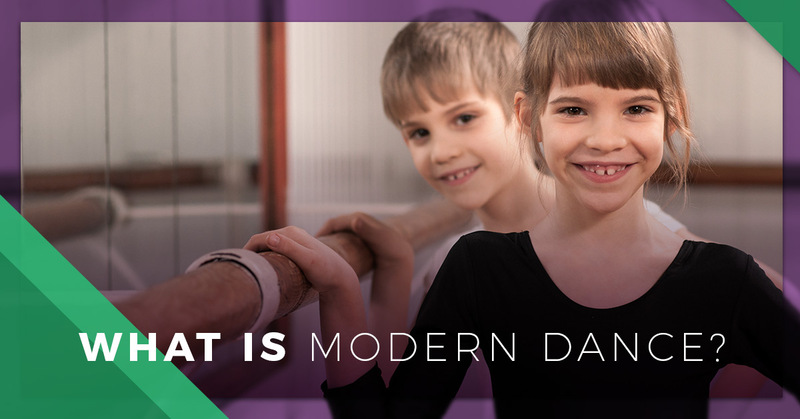 Modern dance seems to be one of the more mysterious styles of dance, so today we’ll take a look at its characteristics and focuses in order to better understand it. If your child has gone through either of our Jazz or Ballet classes, they are eligible to take our Lyrical & Modern Dance classes. Sign them up at Mountain Kids in Fort Collins today. Modern dance was created in the early 20th century. One of the earliest dancers who participated in the movement of American modern dance was Martha Graham. She wanted her movements to express more emotions like passion, rage, and bliss, so she began to develop her movements differently than other styles of dance. Her new technique was based on classical ballet, but with a shift in focus. Instead of the long, fluid movements that ballet emphasized, Graham focused on infusing new emotions by making movements more sharp, jagged, and abrupt. While the technique was still based on how the body could move, the focus was shifted to ways in which those movements could express emotions, rather than displaying how effortless those movements could be. Since movements in modern dance are based on emotions, dancers often make up new steps and routines in order to express different feelings. If a dancer is angry, they might make their movements more erratic and explosive. If the dancer is sad, their movements could be slower and their limbs may appear heavier and more difficult to move. This is another characteristic of modern dance: the use of gravity. While other dance styles, like ballet, would have a viewer believe the dancer is defying gravity entirely, those who practice modern dance employ gravity as another tool to express emotion. Modern dance has become more commonly taught in dance studios and facilities like Mountain Kids all over the United States. Because this style of dance is rooted in more classical styles, like ballet, it’s important to have an understanding of these styles of dance first before jumping into more contemporary routines. A dance class that focuses on modern style will allow those who are more classically trained to enjoy the movements rather than focusing on the technique. It teaches dancers how to express their emotions through steps and routines, allowing them to become more attuned to their inner selves. The basis of modern dance is the emotion behind it, so when composing a routine, it is important for a dancer to focus on a specific feeling. The more exact the feeling, the better. A personal experience to reference will help convey the body’s physical response to that emotion more effectively as well. Choosing an appropriate costume and music will also help convey the specific emotion. If your child has completed our Jazz or Ballet class and is interested in taking a modern dance class, register them for our Lyrical & Modern Dance class at Mountain Kids in Fort Collins. They will be able to explore the emotional side of dance and more deeply enjoy the movements.